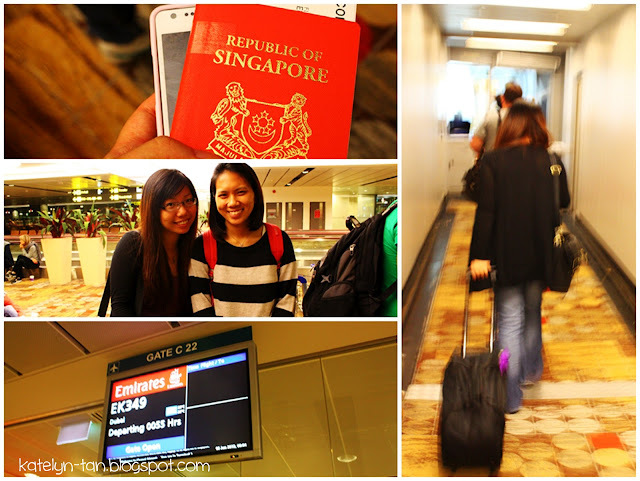 Photos taken at Changi Airport! I cannot stand goodbyes one!! Joy and I sat together while amelia sat further away. Always book your seat in advance! 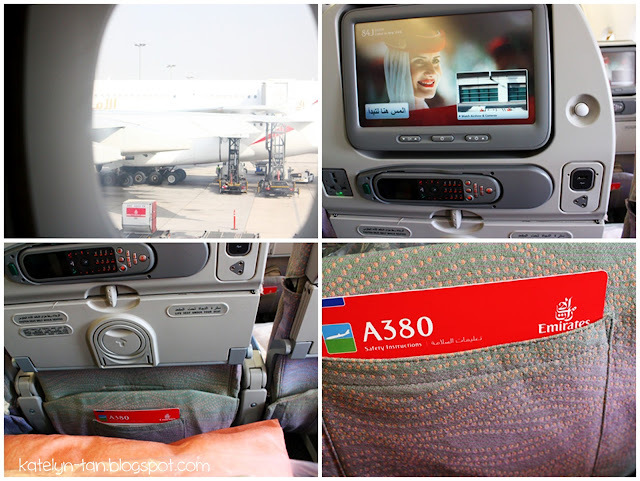 Do online check-in 3 days (I think) before the flight to change your seat numbers if you all book your tickets separately but want to sit together. Cupcakes bought by the Dippies! So sweet of them right? 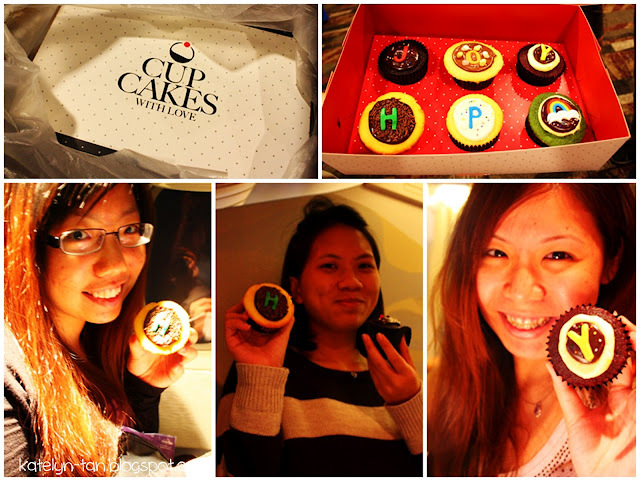 The cupcakes saved us from hunger! Amelia came over to find us and we shared the cupcakes together! 2. Bring a face mask on to the plane! So your skin will not get too dry after the long long flight! 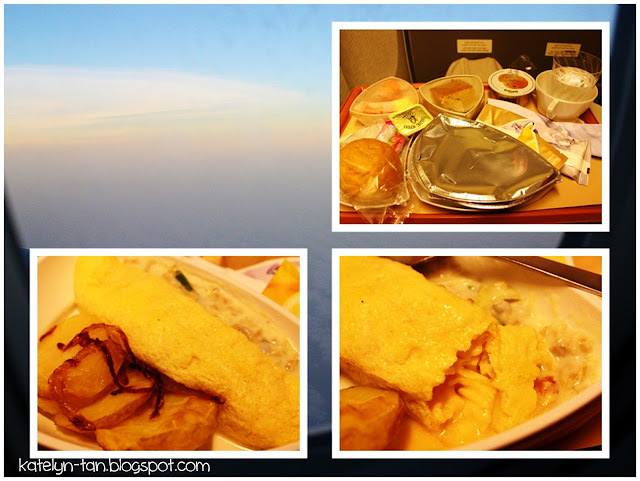 And after a short while, we had our first meal on the plane! Enjoying meal + watching movie - Breaking Dawn! hahahas! 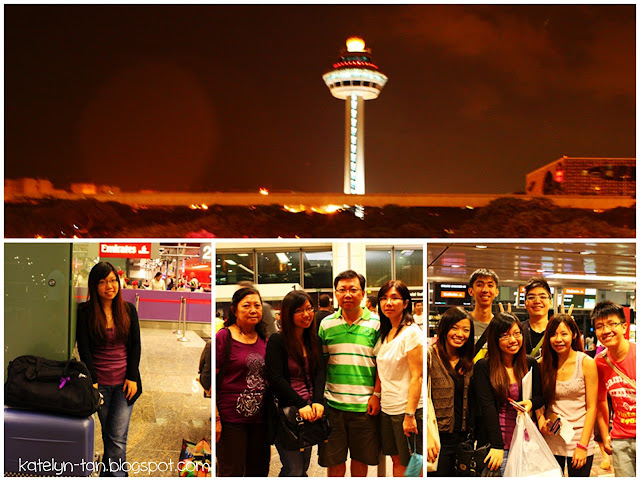 Then we reached our first stop-over! 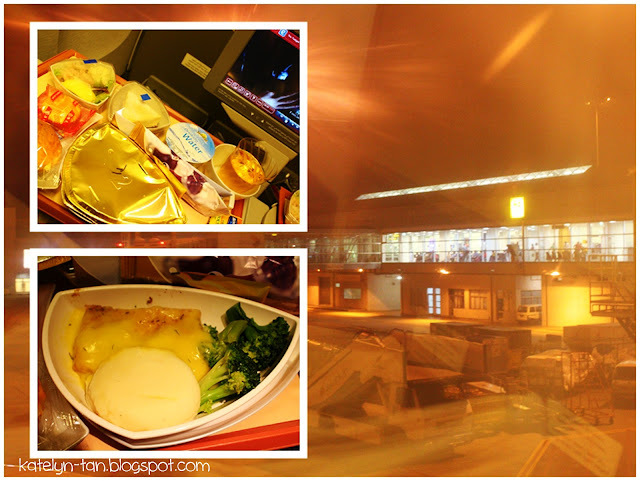 And after an hour or so the plane took off again and that's photo of the second meal on the plane! Love their omelet and potato! And slowly the sky was becoming brighter. 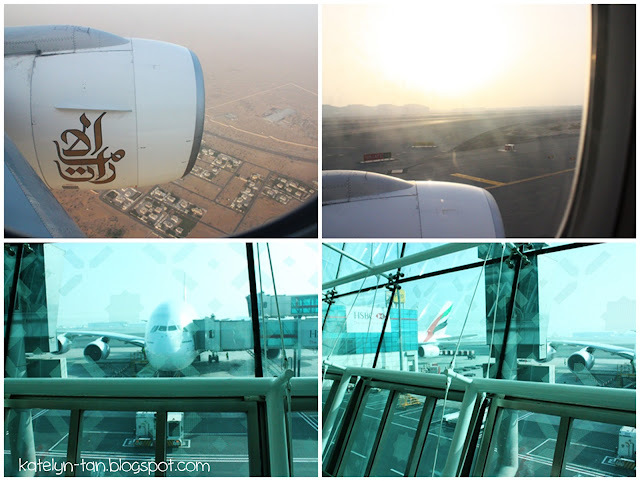 And we reached Dubai! 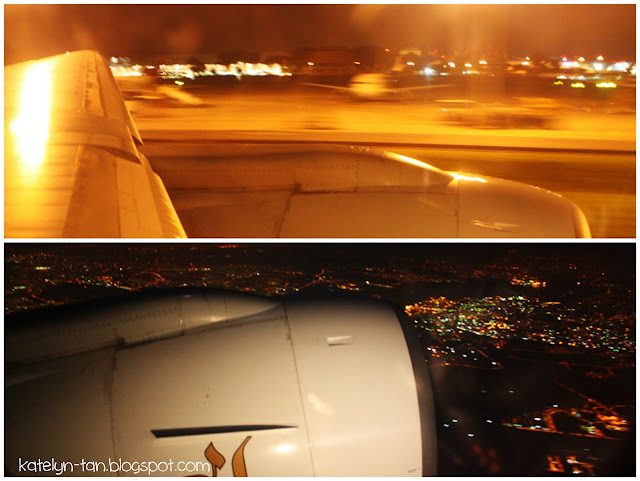 Here we had to change planes. 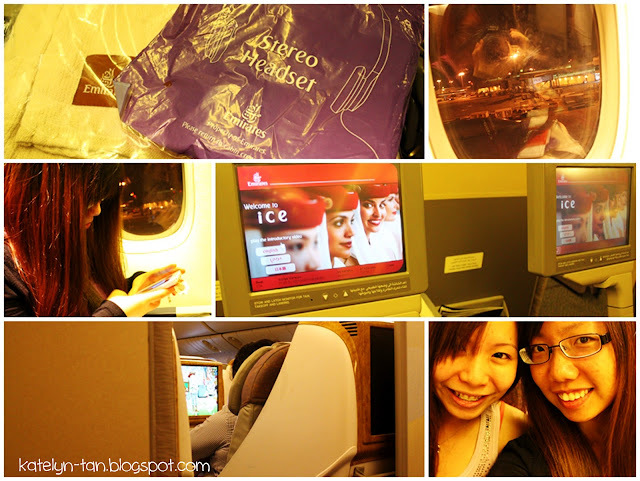 On our second plane the A380! Previously it was Boeing 777. For this flight I was sitting alone with Amelia and Joy sitting the row behind me. 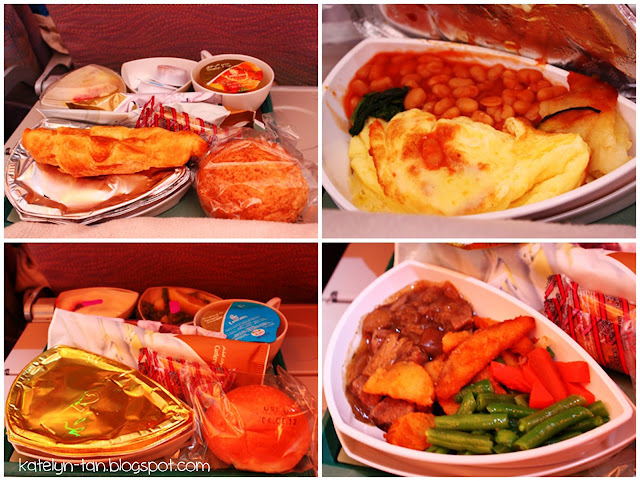 The next two meals on the plane! In between we had a pizza too! 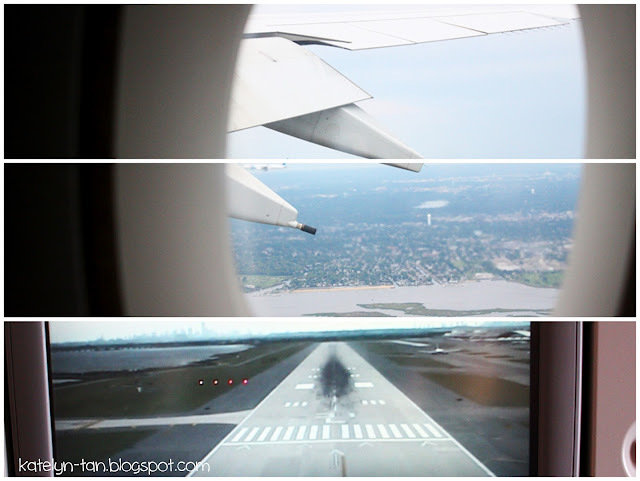 And after a long long flight, we touched down at New York! Yays! So that's the start of the first day in the states. And read the NYC tips post if you haven't!